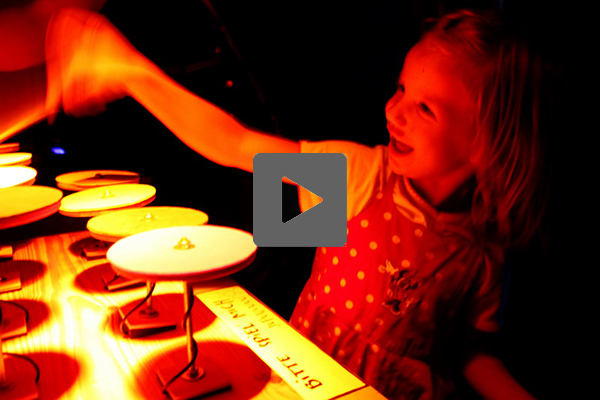 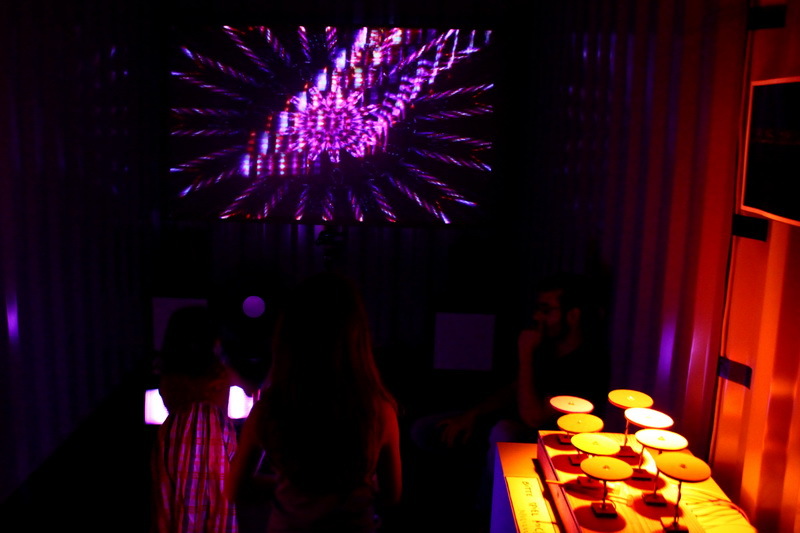 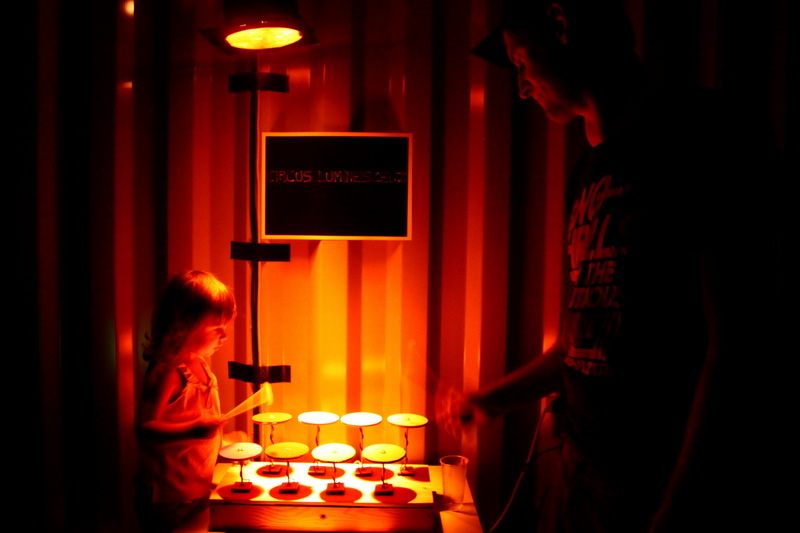 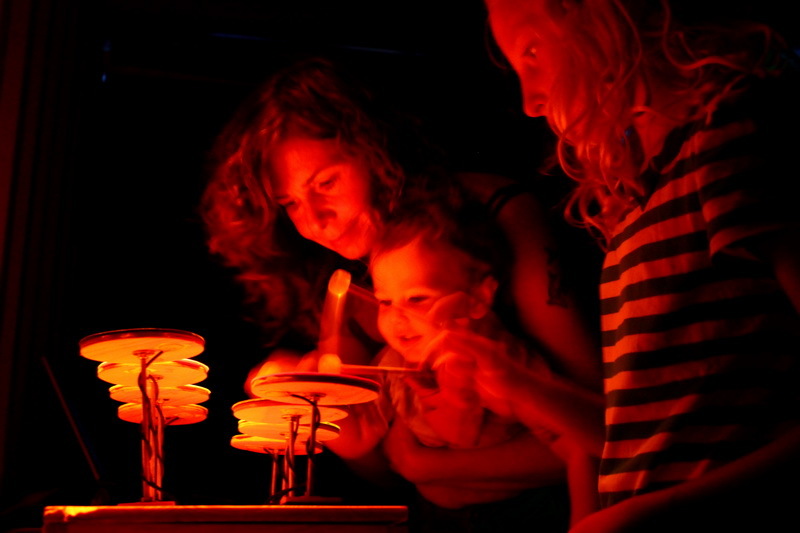 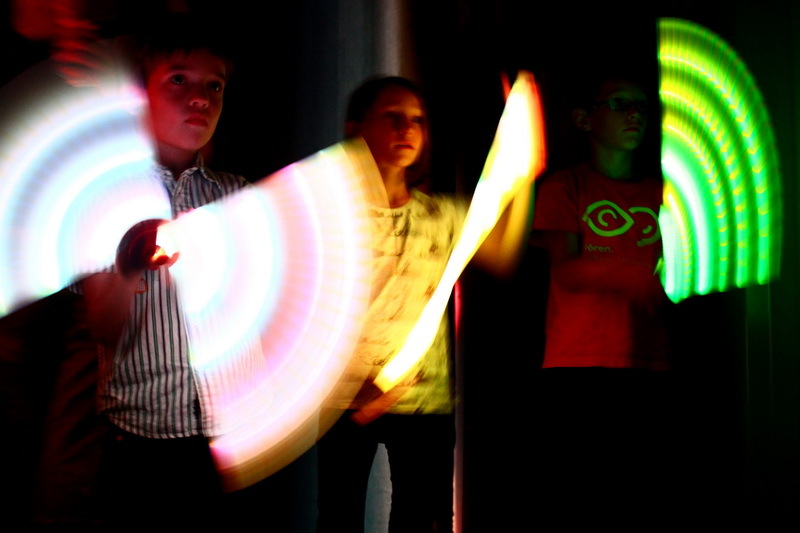 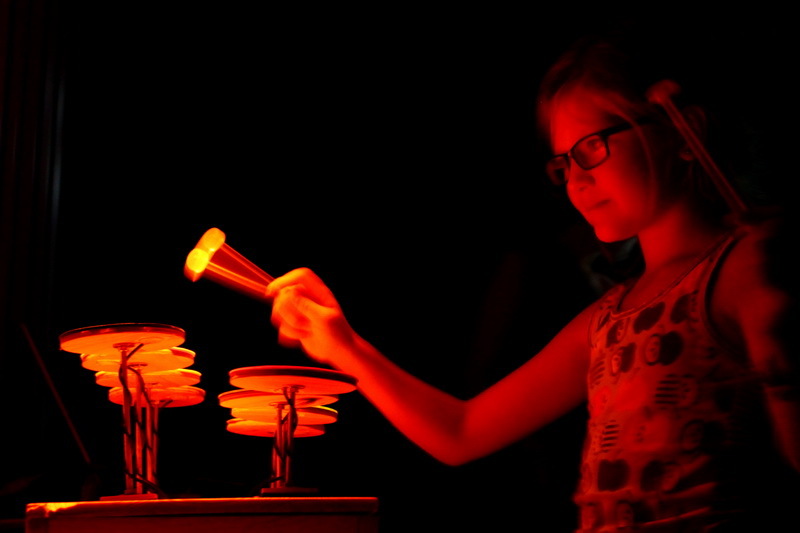 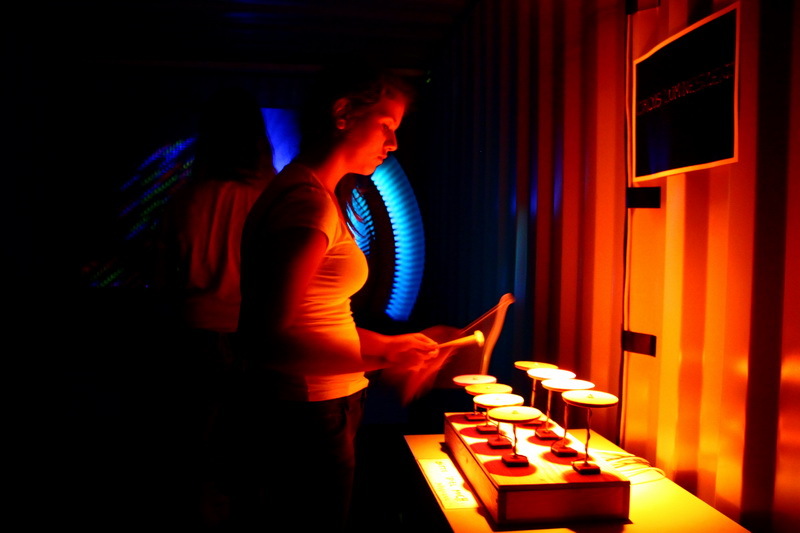 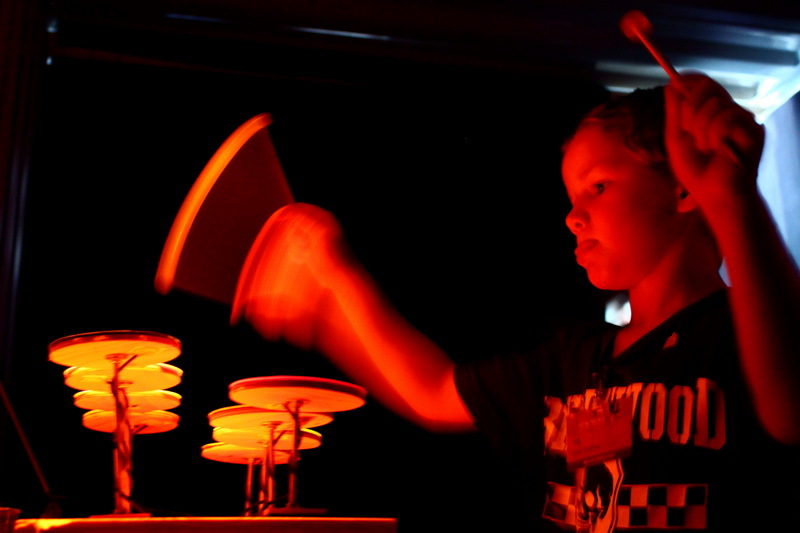 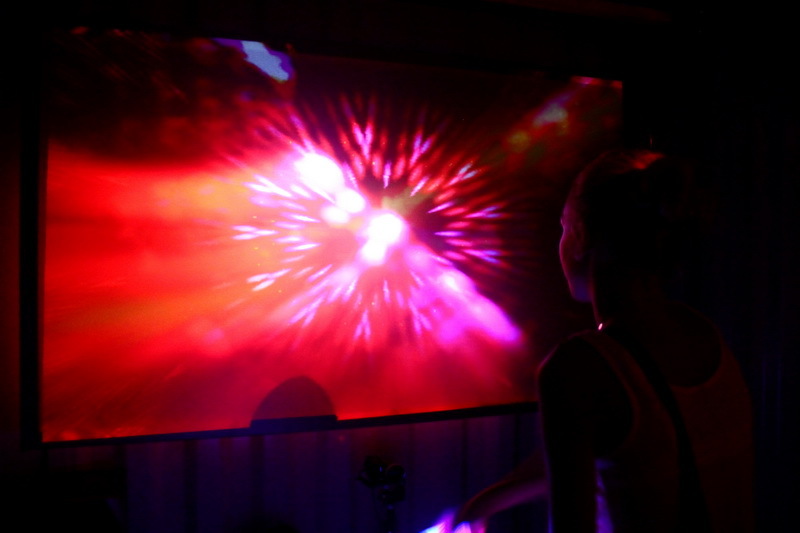 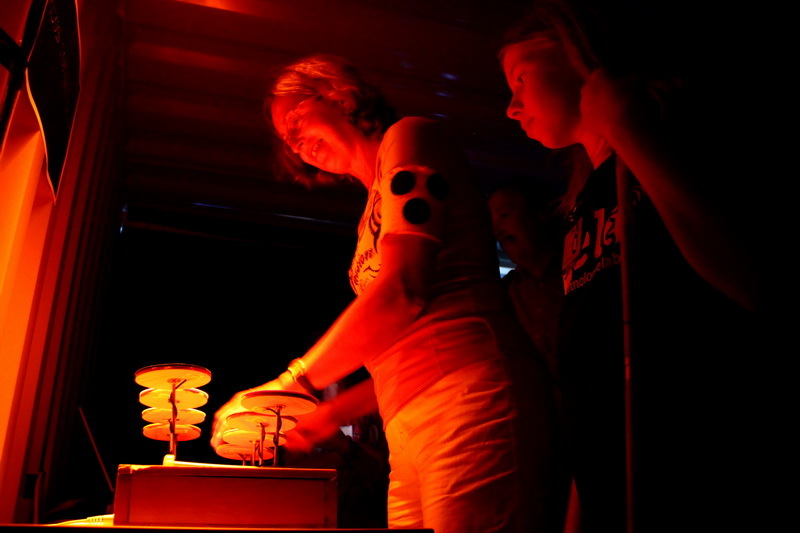 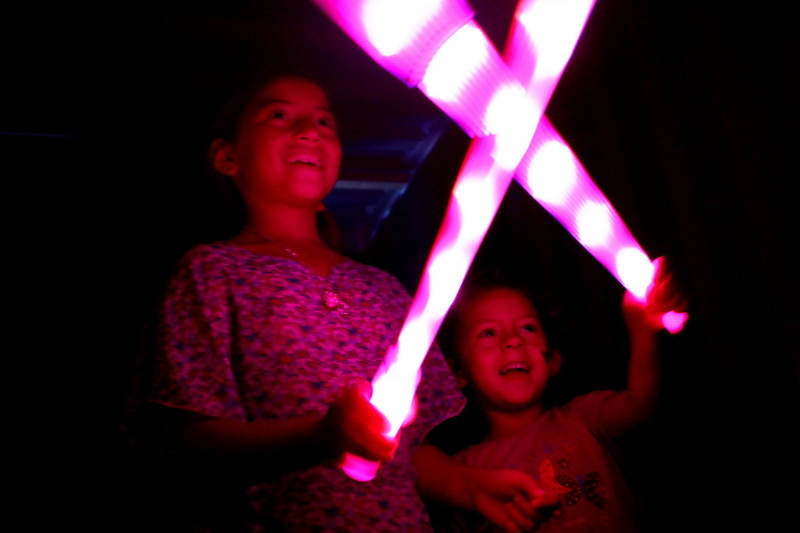 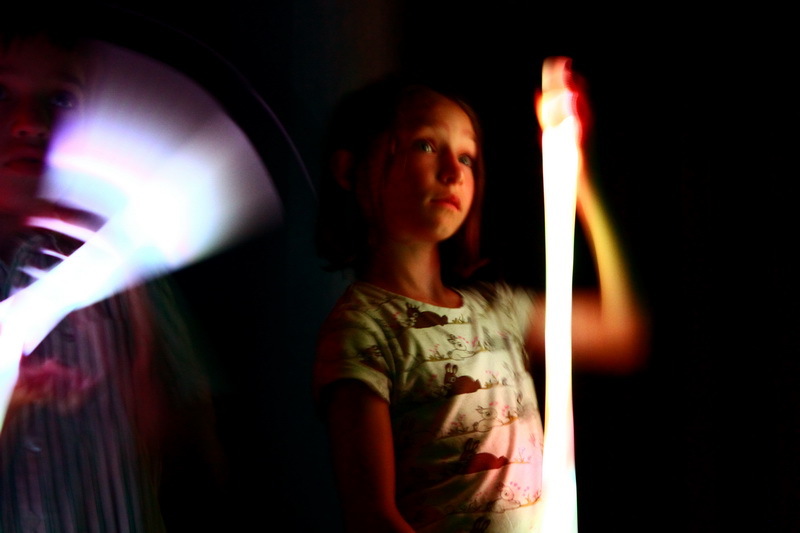 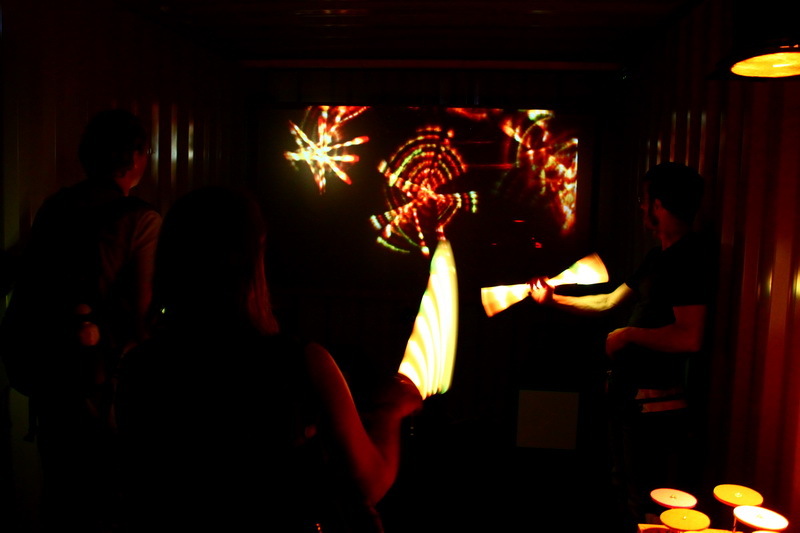 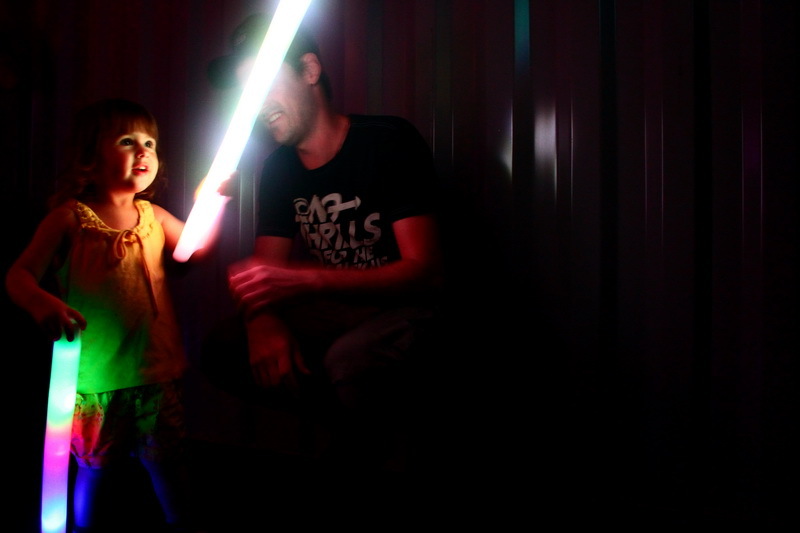 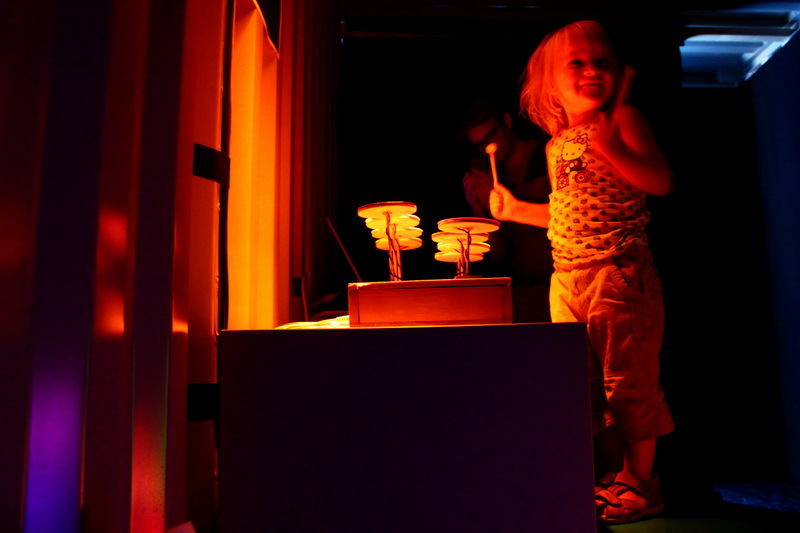 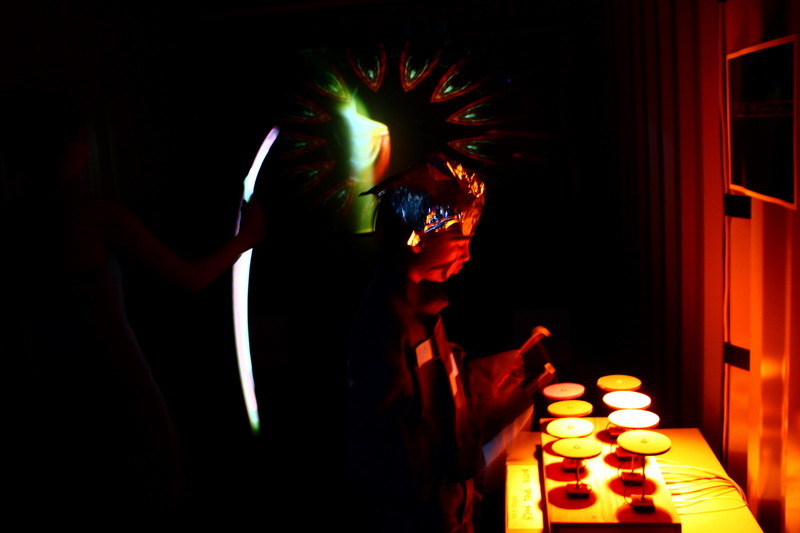 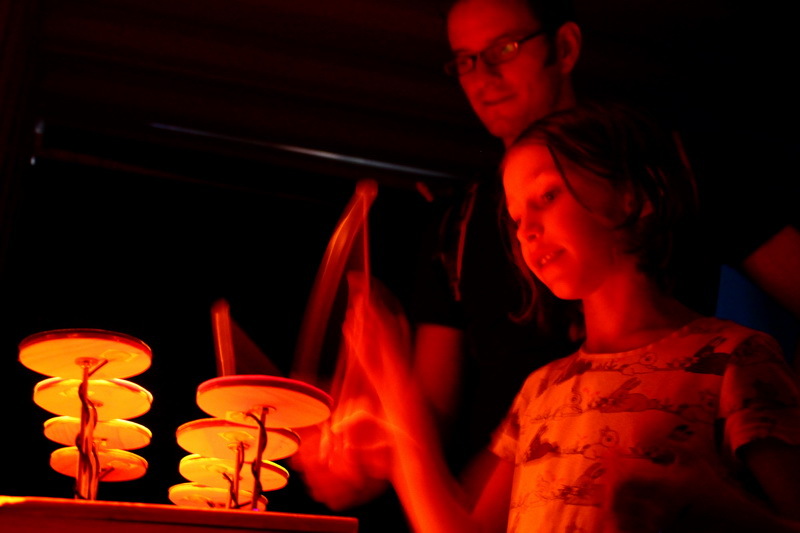 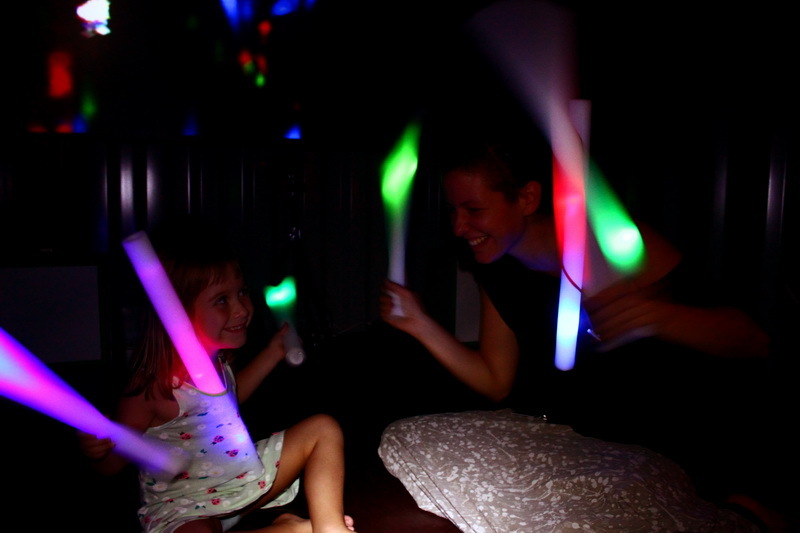 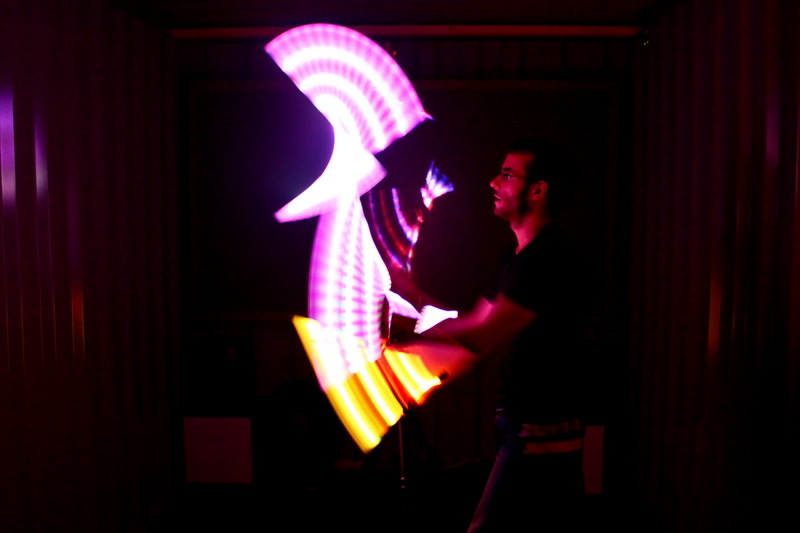 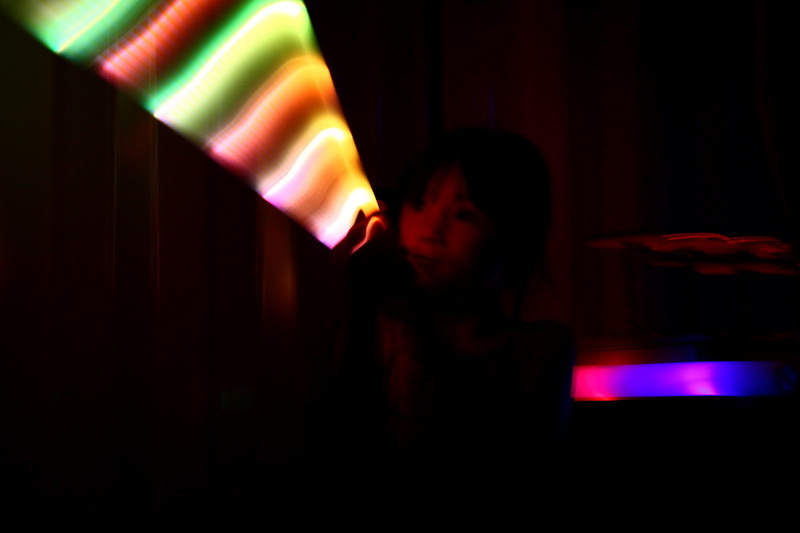 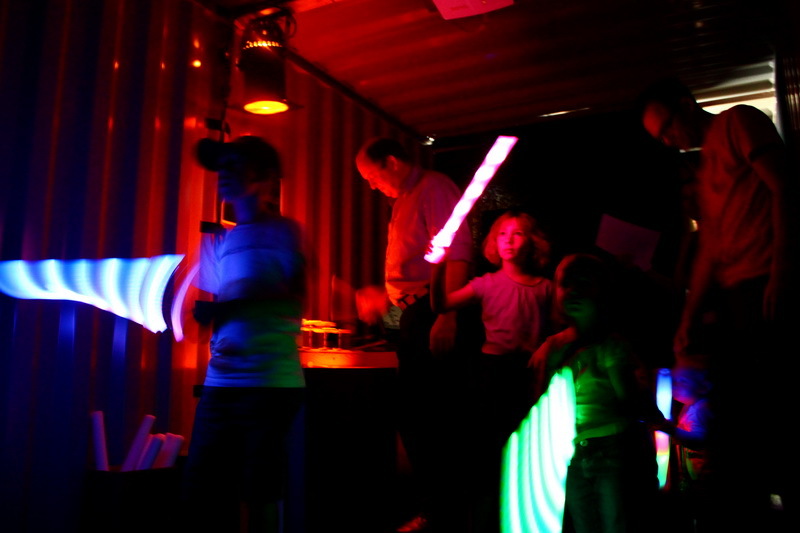 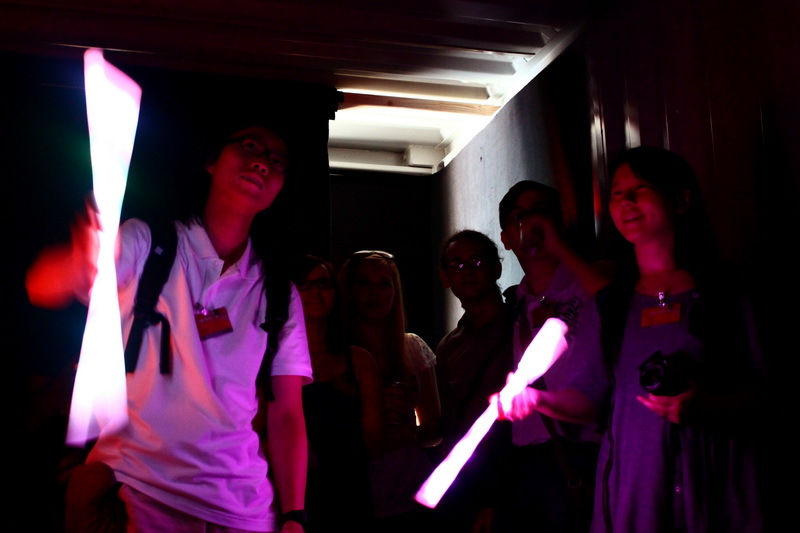 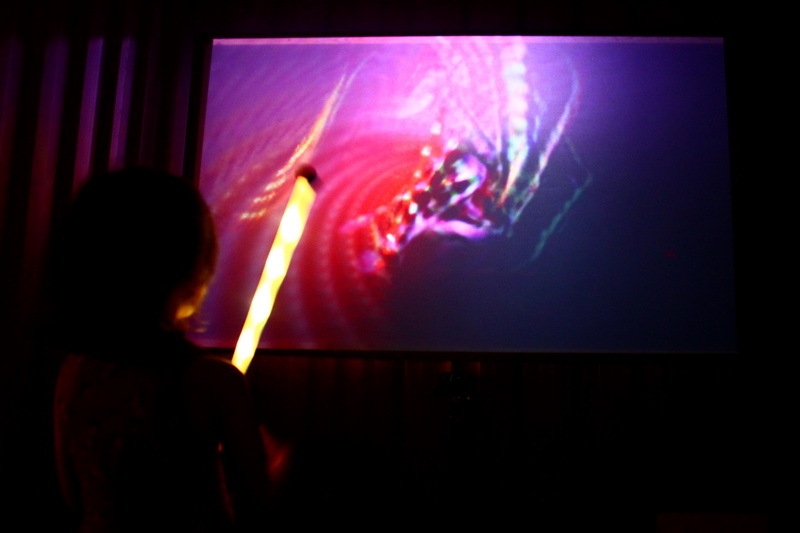 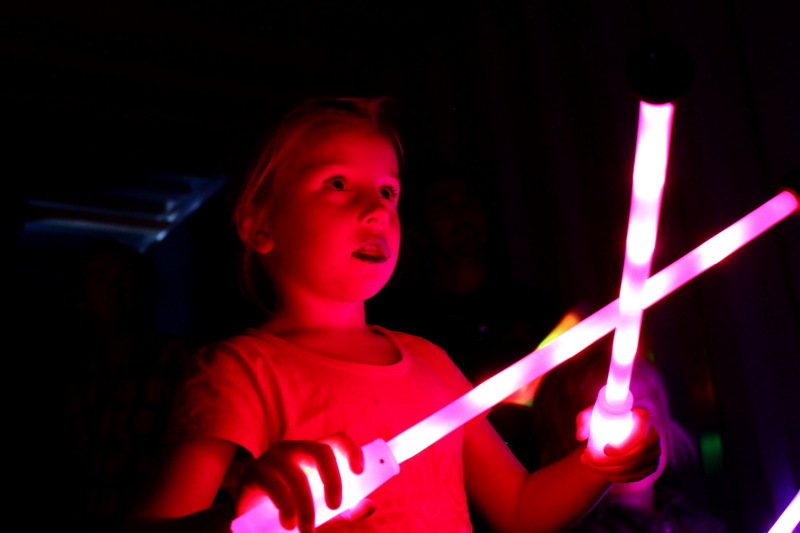 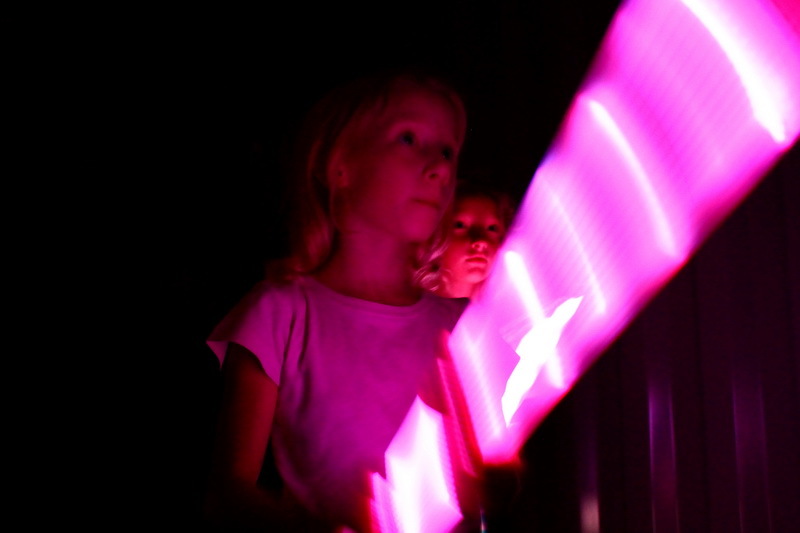 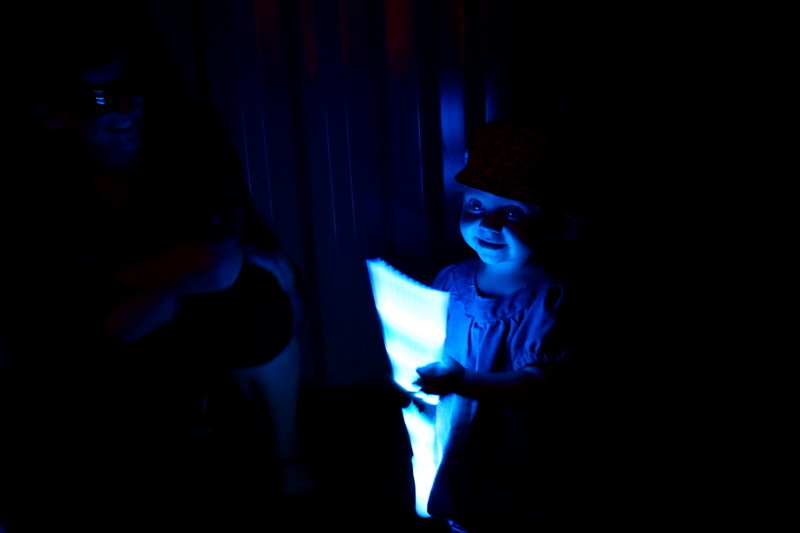 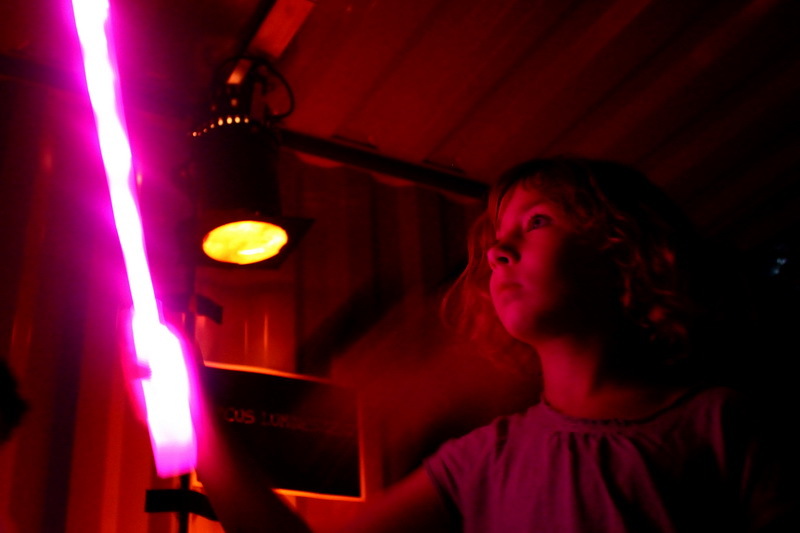 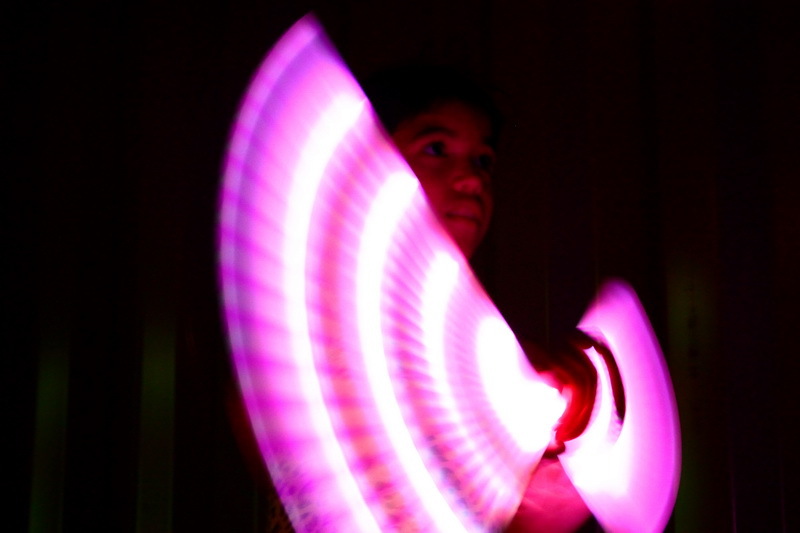 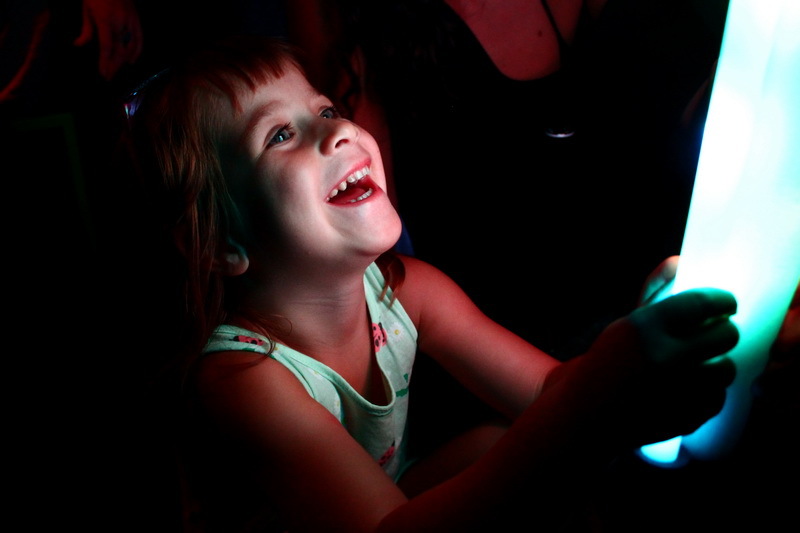 Circus Lumineszenz Playground is an Immersive Interactive Multimedia Installation aimed at young audiences and families, where they are invited to create visuals with different light objects. 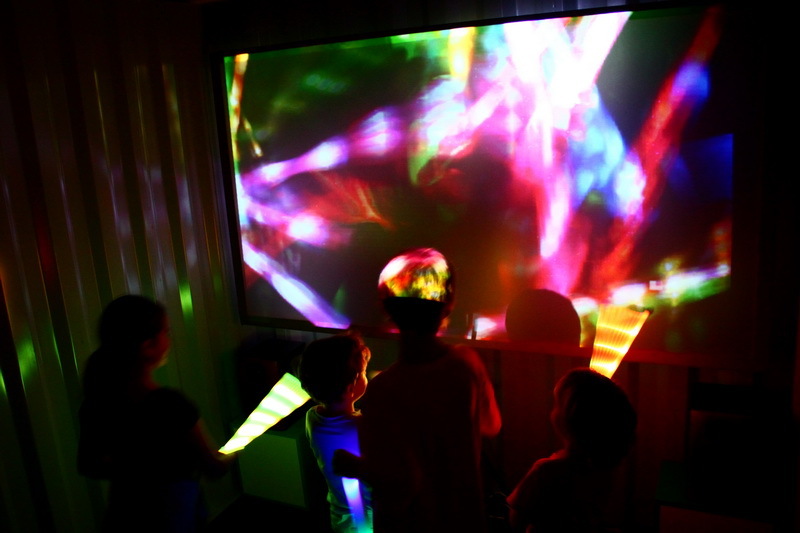 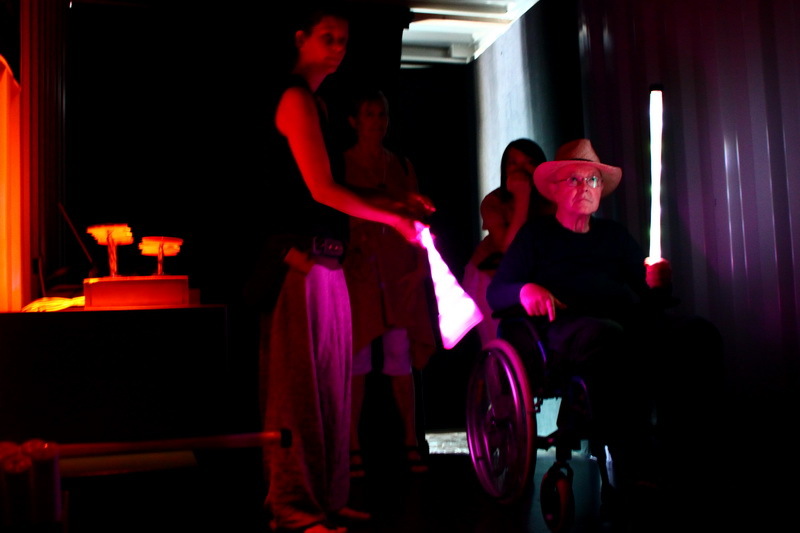 A video camera is monitoring the action and sending the information to a computer, which with specific software of our design modifies the images that are at the same time projected in a screen, creating a beautiful world of Light and Colour. 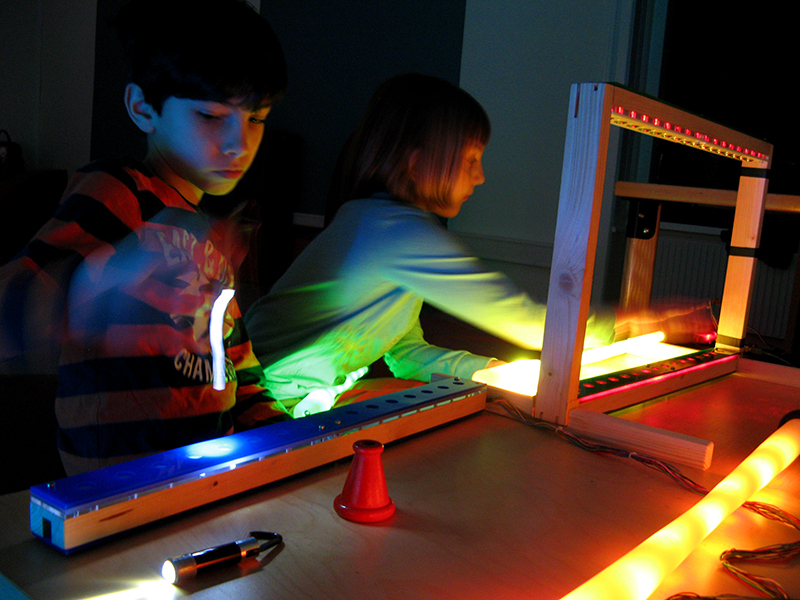 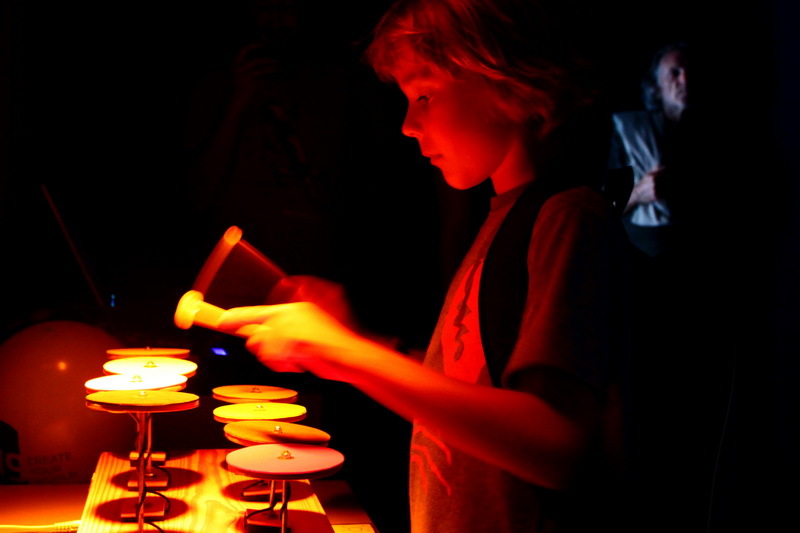 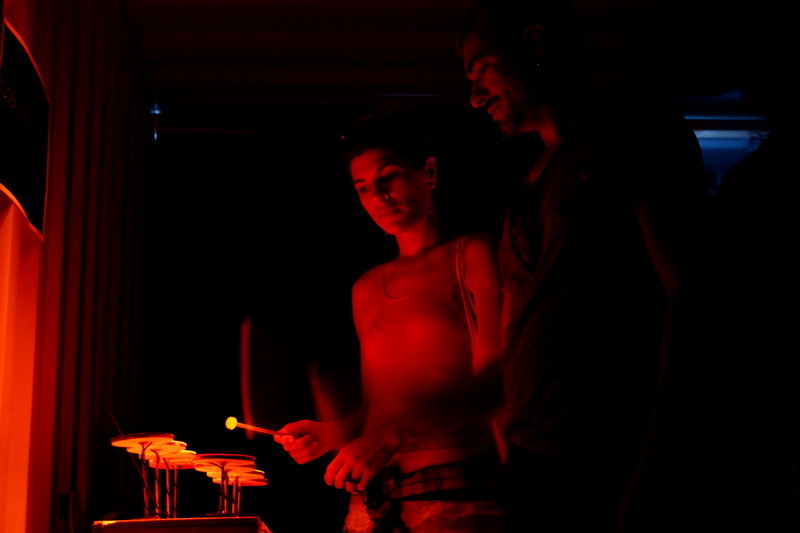 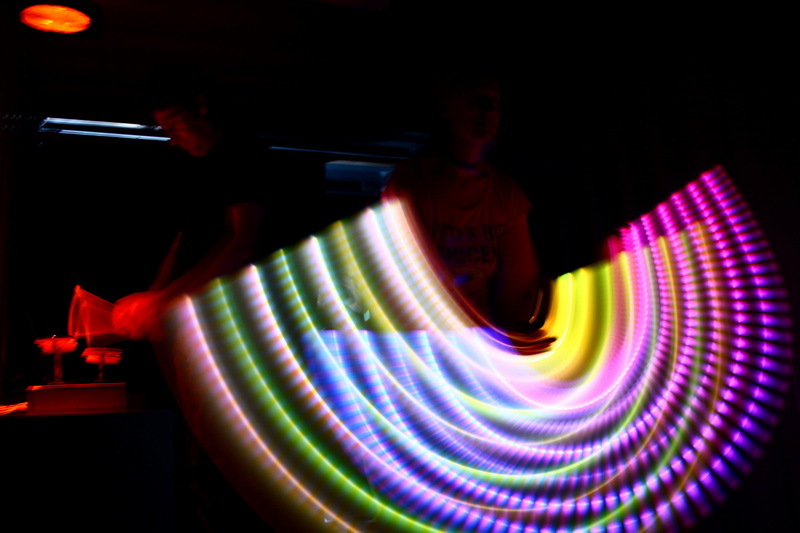 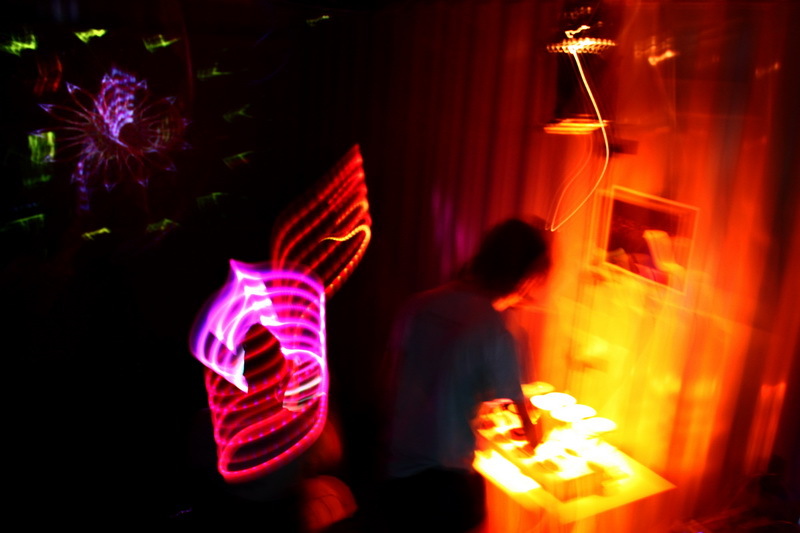 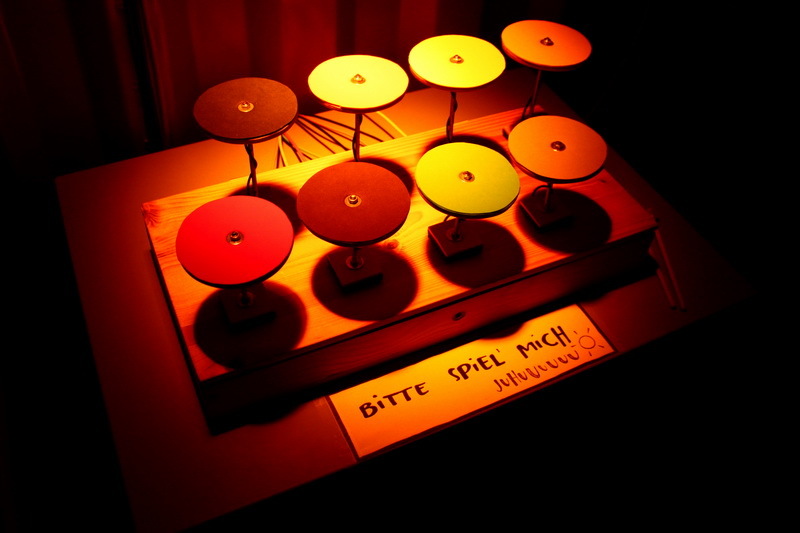 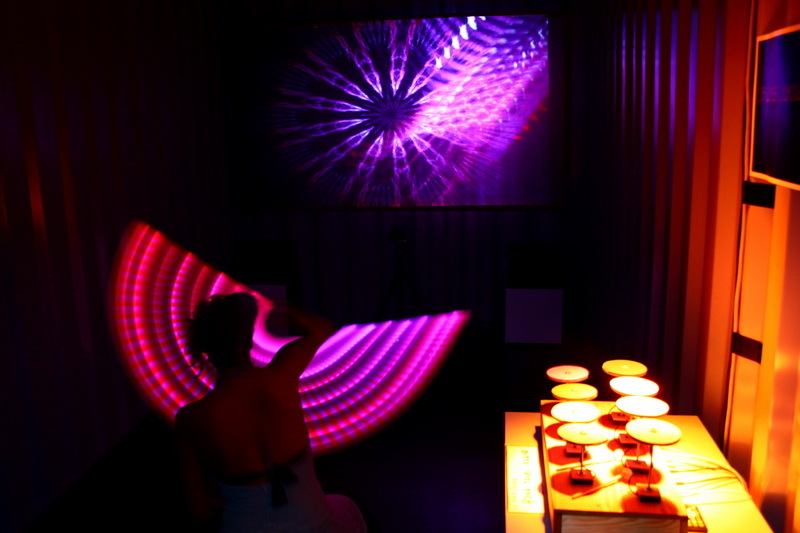 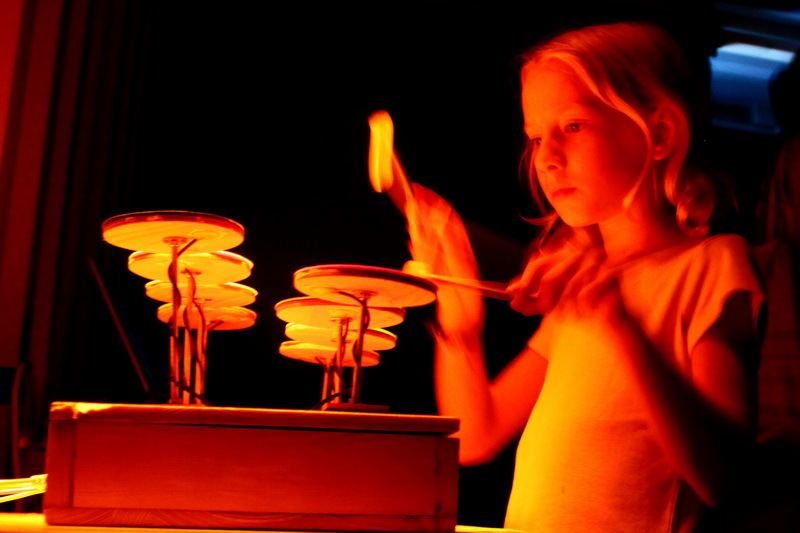 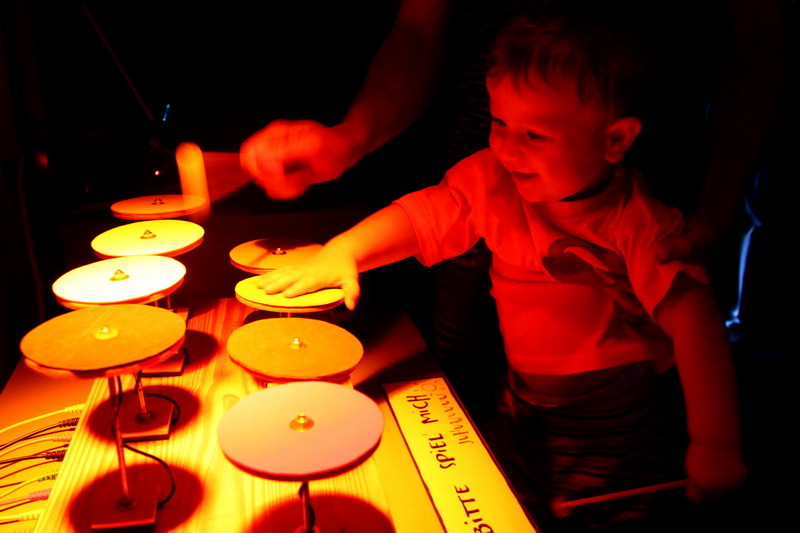 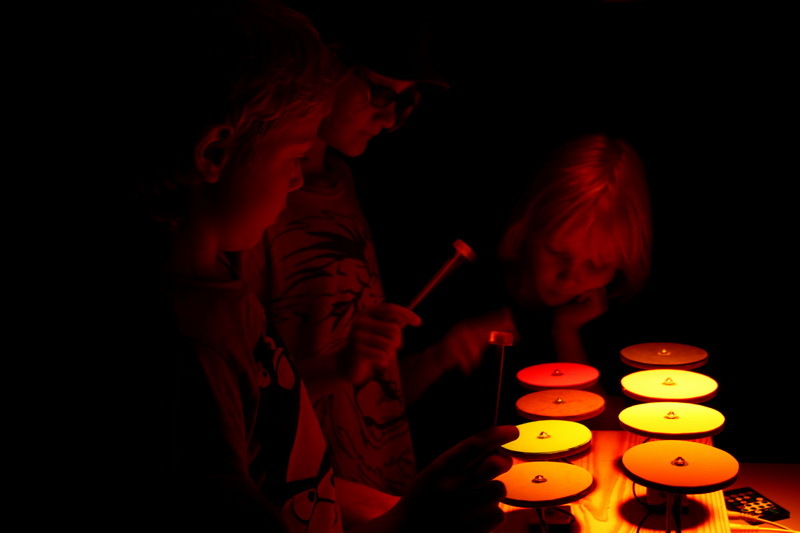 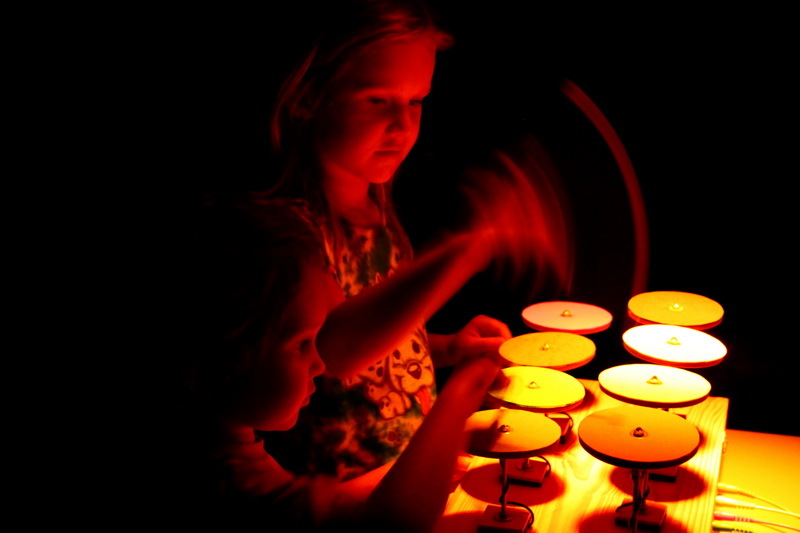 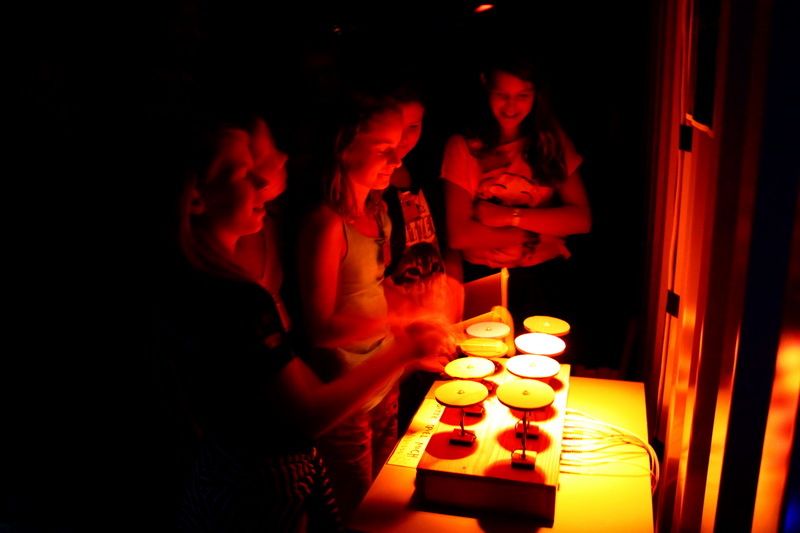 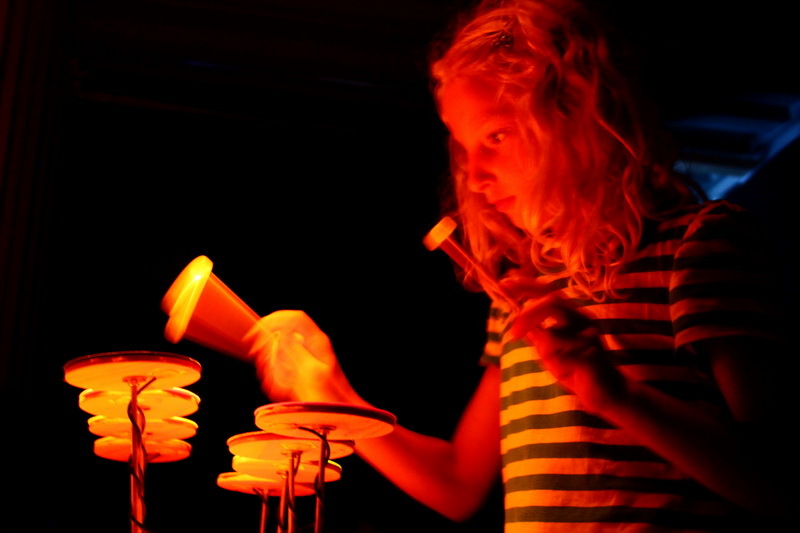 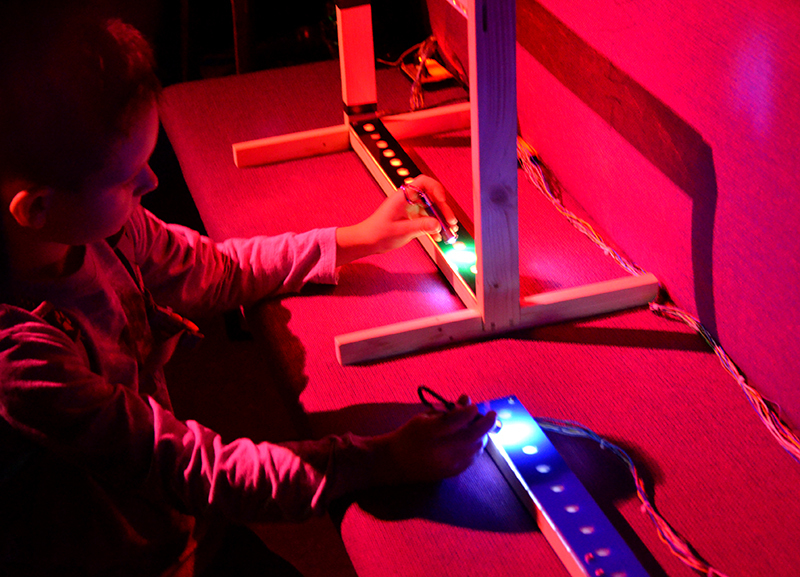 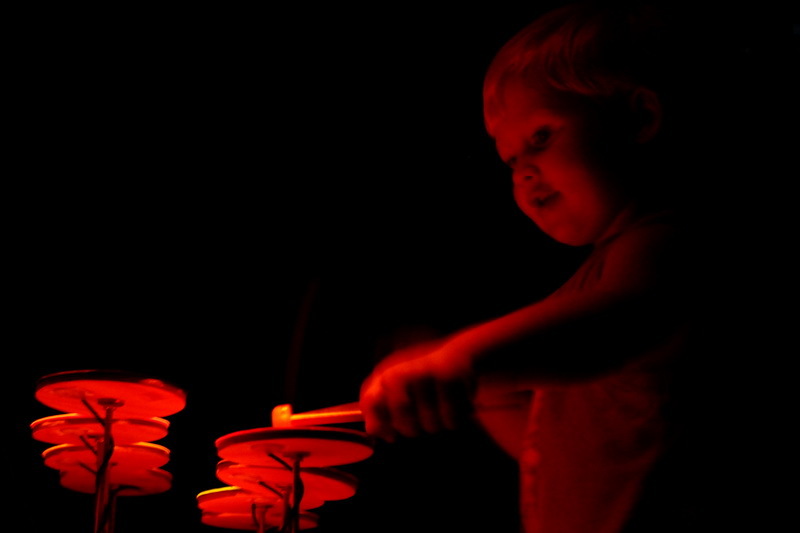 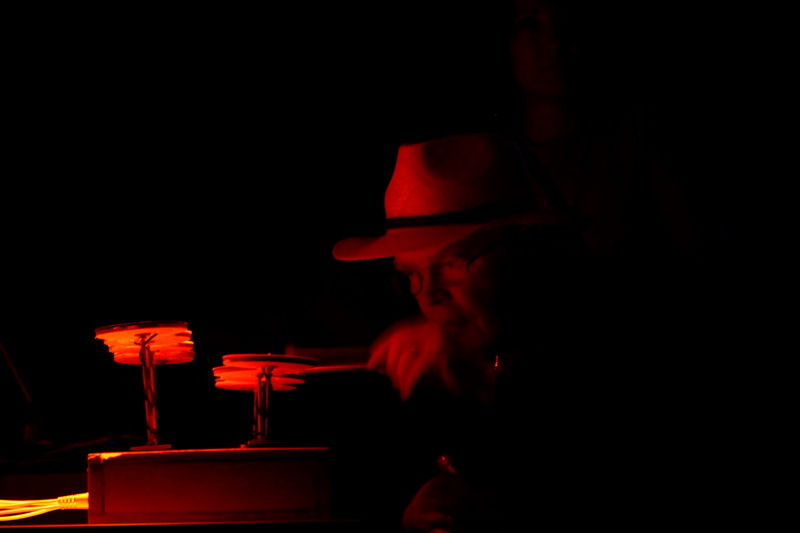 We also provide home-made electronic musical instruments, such as the Electronic Marimba, the Photophono and the little Laser Harp, which are connected to the computer and trigger magical electronic sounds and effects.